Best Location. Heart of Tuscany; Up to 25% "Sconto" Last Minuted Discounts -ASK! Property 32: Best Location. Heart of Tuscany; Up to 25% "Sconto" Last Minuted Discounts -ASK! Beautiful stone house with garden and private pool. Property 34: Beautiful stone house with garden and private pool. 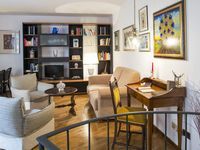 Central panoramic apartment San Martino! Property 39: Central panoramic apartment San Martino! In the heart of the Chianti, Tuscan vacation house with a shared swimming pool. Property 40: In the heart of the Chianti, Tuscan vacation house with a shared swimming pool. 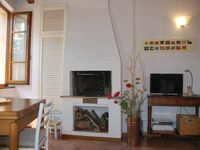 House in house in restored farmhouse of the Arceno estate 600sqm garden, pool. Property 50: House in house in restored farmhouse of the Arceno estate 600sqm garden, pool. We loved this apartment. It is clean, well appointed, and in a great location just off of the Campo. Sara was responsive and friendly and provided us with great advice on transportation, restaurants, tours etc. Siena is a beautiful city and one of our favorites anywhere in the world. If we get a chance to go back to Siena we would not even consider another apartment. We enjoyed this apartment so much and Francesca was a wonderful host and gave us lots of info about the area. It&rsquo;s quiet and perfect for a couple.